The worker cooperative—a democratic form of business ownership—has struggled to take hold and grow to scale in the US. Though the US economy has a large cooperative sector, most of these co-ops are consumer co-ops. Credit unions and electric co-ops are the two largest sectors, with well over 100 million member-owners between them. Indeed, credit unions alone now have 115.3 million member-owners. The worker cooperative sector, by contrast, is much more modest in scale. According to a November 2017 report (based on 2015 data) from the nonprofit Democracy at Work Institute, in the US an estimated 323 worker-cooperatives have 6,033 worker-owners and combined revenues of $395 million. But worker cooperatives are growing, and so is the ecosystem supporting them. In recent months, two well-established cooperatives, the Evergreen Cooperative Laundry in Cleveland and Red Emma’s in Baltimore, have announced plans for expansion. Red Emma’s is a bookstore, vegan café, and coffee roaster that’s been around nearly 15 years. A self-described “family of projects dedicated to autonomy, sustainability, participatory democracy, and solidarity,” Red Emma’s employs 25 worker-owners, all of whom earn a living wage. In September, the business will be moving to a much larger space that will allow the café to add a bar and dinner menu. The business hopes to grow to 35 workers as it expands in its new space. Eventually, Red Emma’s cobbled together sufficient financing to move to a new location. In their new space, economies of scale allowed the business to grow, providing the worker-owners with better paying jobs and health coverage. With better jobs, the co-op diversified its staff to become majority queer and people of color. They have used the employee ownership strategy to create quality jobs with steady incomes for marginalized communities. It is this vision of democratic ownership, local investment, and wealth building that has catalyzed increased interest in worker cooperatives. Red Emma’s move this summer is being financed by BRED, the Baltimore Roundtable for Economic Democracy, which has started a loan fund with assistance from The Working World, a New York City nonprofit CDFI that supports the development and growth of cooperative businesses. BRED is one of several cooperative loan funds seeded by The Working World, as part of its effort to grow a peer network of place-based cooperative support organizations. The network is designed to overcome the problem Red Emma’s faced in 2012, when traditional financing organizations wouldn’t provide the capital the business needed to expand. BRED is now supporting nine different Maryland cooperatives. Evergreen Cooperative Laundry (ECL) in Cleveland also announced plans to expand this summer. 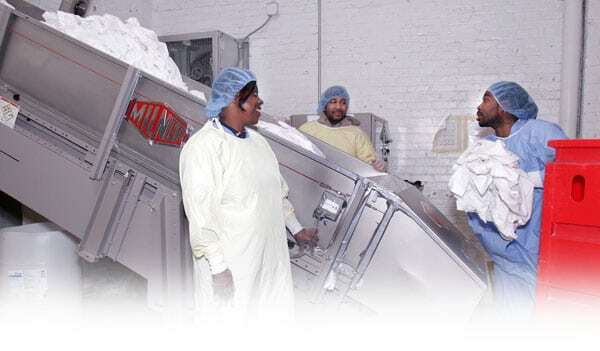 The laundry is part of the Evergreen Cooperatives, an initiative of The Democracy Collaborative designed to connect anchor institutions like the Cleveland Clinic to local cooperatives creating good jobs in the disinvested neighborhoods. In May, the Cleveland Clinic announced that the ECL would be taking over the operation of the hospital’s massive laundry facility, processing 20 million pounds per year. This partnership will allow Evergreen to triple the number of worker owners, from 50 to 150, without having to make a large capital investment in new equipment. “The Cleveland Clinic’s decision to partner with Evergreen immediately preserves more than 100 jobs in this neighborhood. And together we hope to double that workforce in the next couple of years,” Evergreen CEO John McMicken told the crowd at the ribbon cutting on May 10, 2018. Disclosure: Karen Kahn has done some consulting work for the Democracy Collaborative.